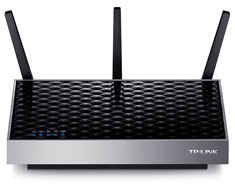 The TP-Link RE580D AC1900 Wi-Fi Range Extender allows you amplify any Wi-Fi network by up to 10,000 square feet. Perfect for multi-story homes or offices, eliminate "dead zones" with the three dual band external 700mW high powered antennas to extend your existing wireless coverage and creates a targeted, efficient connection with incredible speeds up to 1900Mbps. 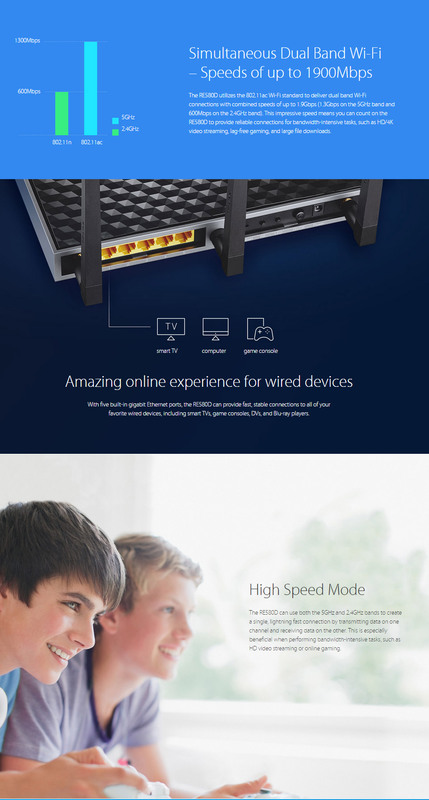 It is compatible with any Wi-Fi router or wireless access point, and features 5 Gigabit Ethernet ports for lightning fast connection speeds. The RE580D features a dual core 1GHz processor to ensure no interruptions when simultaneously processing high bandwidth intensive tasks as you move around your home with your favourite gaming consoles, computers, tablets and smartphone devices.